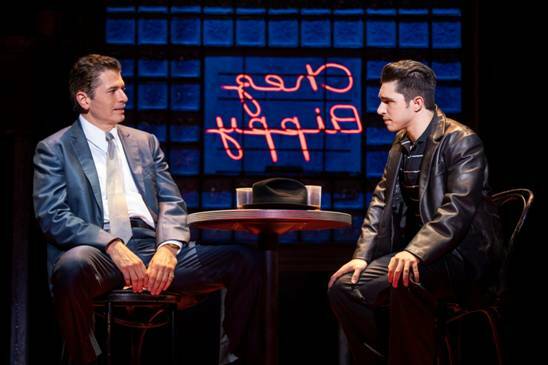 SAN FRANCISCO, CA – One reason why the story of A BRONX TALE is liked by the audience, may be because it is a dramatic story and it is true. It happened to the only son, of an Italian family who lived in the Bronx. Because of it, the presentation of the story as a musical is true-to- life. Its dialogue, was written with Italian expressions in mind. Its sets, represent real places, Its costumes, the clothes that people wore in the 60's and its music, recreates the “sounds” that one heard in the bars, on the radios or just walking on the New York’s street. We should add that the feeling of “realism” was made possible by the amalgamation of the talent, of each one of its Award-nominated and Award-winning creators of the show. 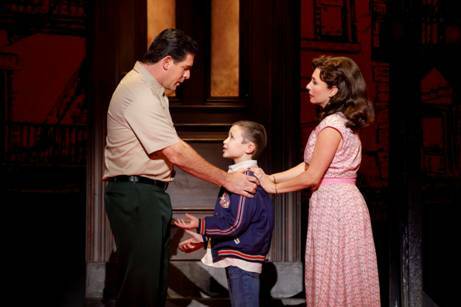 The musical’s book was first written, in l989 as an autobiographical one-actor play by Academy Award nominee Playwright CHAZZ PALMINTERI, who dedicated it to his mother and father, his wife Gianna an his children. Being an actor, he performed his play in Los Angeles and Broadway, where it was directed by Director JERRY ZAKS. In l993,the BRONX TALE was converted into a movie, that was Directed and Co-starred by Hollywood Legend ROBERT DE NIRO. Its musical version premiered on February 4, 2016 at the PAPER MILL PLAYHOUSe in Mill Bourned, New Jersey. The Music of the musical was written by Oscar, Grammy and Tony Award winner ALAN MENKEN, who in his compositions pays homage to the “sounds” of the neighborhood where PALMINTERI grew up: The Doo-Wop, Brill Building Pod, Motown, Swing, and Rock. And because the story of the musical is true, Grammy Award winner, and Oscar and Tony Award nominee GLENN SLATER who wrote the lyrics, put “authenticity” in every word right down to the Italian accents. 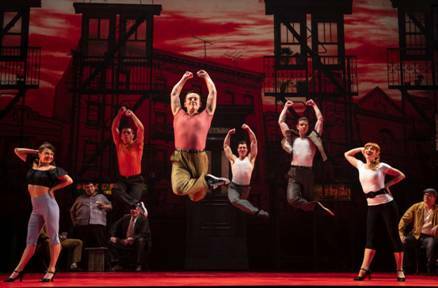 The musical was coreographed by SERGIO TRUJILLO and directed by ROBERT DE NIRO and JERRY ZAKS. With a team of winners behind A BRONX TALE musical creation, and masterful performances on the part of each one of its actors/singers/and dancers, it was no wonder that on the night A BRONX TALE musical, produced by SHN, TOMMY MOTOLA, the DODGERS, TRIBECA PRODUCTIONS and EVAMERE ENTERTAINMENT, debuted for the press at the SHN GOLDEN GATE THEATRE in the city, it received a long standing ovation. There are lots of characters in A BRONX TALE, story, but because they are "different" from each other we may have to Analyze the book's structure metaphorically, comparing it with a piece of cloth woven with "different" thread strands. The principal thread in our imaginary cloth, will be the Italian family. Lorenzo the father (The role played by two actors: JOSHUA MICHAEL BURRAGE as young Lorenzo, and RICHARD H. BLAKE as old Lorenzo) Lorenzo is Italian, Catholic and works as a buss driver in the BRONX. He is a “good man” with high moral principles who believes that the worse thing in life is “wasted talent”. Rosina (MICHELLE ARAVENA) his wife is also Italian and a stay-home mother. Their only son is Calogero, also played by two actors. 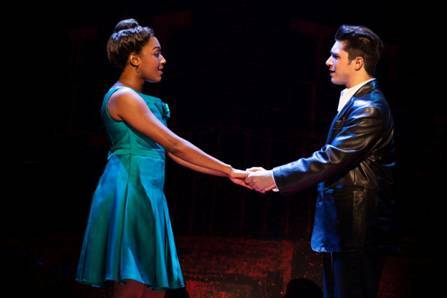 Calogero as a 9 year old, played on that night by FRANKIE LEONI and Calogero as a teenager, played by JOEY BARREIRO. The second important thread in the story, is Sonny (JOE BARBARA) which may be described as an 'Italian Capo" (a mobster). He owns a bar located on the street floor of Lorenzo’s second floor apartments’ building which is located in the corner of l87th and Belmont Avenue in the Bronx. The Fourth threat starts eight years later. And if the story in the musical is not as powerful as the story in the movie,it is still powerful enough. The musical starts with a group of Black singers singing an a’Capella version of a Doo-wop Standing at the center of the stage, Calogero (BARREIRO) adult addresses the audience saying: "It is 3AM in the Bronx, New York. I am in the corner of l87th and Belmont Avenue. This is my neighborhood." He then starts describing the bells, the voices of the peddlers and different other sounds of his Italian neighborhood. We go back in time. Calogero (LEONI) is a 9 year old standing on the steps of his apartment building looking at the street where two men are fighting. One of them beating the other's head with a baseball bat. We hear a gun shot in the background and watch the man with a bat fall on the floor. Seconds later, a group of men come running from inside a bar, They pick up the beaten man from the street, and carry him away in a car. They drive away, leaving the body lying on the street. Calogero saw it all. He saw the face of the man shooting at the now dead man, but the next day when the boy is interviewed by the police, and forced to look at the men from the bar, face to face, he does not identify the killer. And because the boy kept the “code” of the Italian neighborhood where an Italian don’t ever incriminate another paisano, Sonny,(BARBARA) who owes the bar, takes Calogero under his wing. He starts paying him for polishing his car and even teaches him to play “craps” (dice). The problems for the boy starts when Rosina, his mother discovers his money and Lorenzo calling it “Dirty money” returns it to Sonny. Lorenzo also refuses to work for Sonny, earning $150 a week. As for the boy, he orders Calogero to stay away from Sonny. But in a song "I like it" the boy admits that he likes his relationship with Sonny. He also likes how he is treated by the Italians because they know that he is Sonny's protege. Because of it, he now get many "free" things and when he takes them the boy is reminded to tell Sonny what they gave him. He had also learn to admire Sonny's way of life. His money and hs power. Because of it, Calogero disobeys his father's order. And like in the play and in the movie, the conflict in A BRONX STORY the musical is the internal struggle of Calogero, the man, trying to respect his father’s teachings that being a man means to use what you got, and his believe that his only son was going to be doing great things in the future at work, and the teachings of Sonny who believes that a man who works for a living is a sucker. The tale ends after all he experiences in his life, teach Calogero the man, who he was. And it is at the end of the show when the invisible sixth strand in the woven cloth of our metaphor, becomes visible, and made us realize the errors we committed in “pre-judging” people when watching the show. We judged Sonny, as a mobster, and as a heatless man. But Sonny, had a heart. He could kill, but also save lives. Jane, who may not have been the "ideal girl" to the Italian father,because of her race, but in reality Jane was an ideal girl, for anyone. She was beautiful outside and inside. unselfish, intelligent, kind and warm. A student concentrated in getting an education to improve herself. And Lorenzo, who in the eyes of many may have been “nothing but a bus driver” is very intelligent. A man, whose philosophy of life may have been better, than the philosphy of better educated men. Lorenzo has principles, and he lived by his principles. He is also a man with dignity mature enough torecognize his mistakes and had the humility to admit them and correct them. So it is at the end of PALMINTERI’s musical A BRONX STORY, when we become aware that we were wrong in pre-judging his characters at the beginning, based on their looks or in how they earned their living, or simply because their physical appearance, forgetting that how we look outside, and what we do for a living, does not determine who we are. 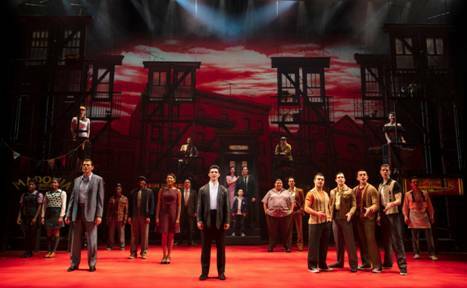 A BRONX TALE will play at the SHN GOLDEN GATE THEATRE 1 Taylor Street in San Francisco from November 27 to December 23. For tickets you can go online to www.shnsf.com or call 888-746-1799.